Paraguay is a little-known country of magnificent beauty in the heart of South America. Although the country is not often visited, it is packed with culture and authenticity. Because there are no major attractions to lure in travelers and tourists, the culture is rich and beautiful. For a trip unlike any other, travel to Paraguay and experience the true South America. The small country is landlocked between Argentina, Brazil, and Bolivia with a population of merely 6.8 million people. The language typically spoken in Paraguay is Spanish and Guaraní. Their currency is the Paraguayan guaraní. What can I do in Paraguay? Although the country is hardly ever visited by tourists, there is no shortage of things to do. Many travelers enjoy visiting the Iguazú Falls for sightseeing. There is also Eco Reserva Mbatoví for tourists who enjoy adventures like zip-lining through the wilderness or taking walks across historic hanging bridges. For a more traditional South American experience, tourists can head to Estancia Aventura for horseback riding and sightseeing on a beautiful ranch. The food in Paraguay is very similar to the dishes found in Uraguay. 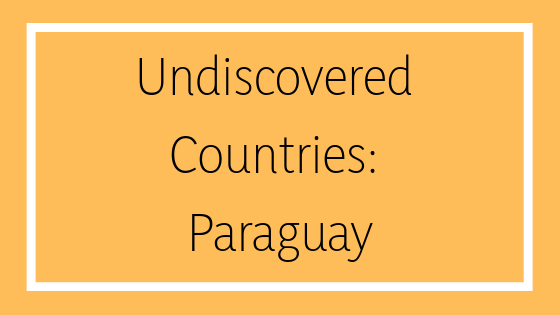 While visiting Paraguay, be sure to try their traditional dishes such as Chipá, Borí borí, Pira caldo, and Tereré. Each of these recipes has been perfected over the centuries and speaks true to their traditions. Most of the cuisine consists of barbequed meats and vegetables, pastries, and fish. It easy to find both budget and luxury stays in Paraguay. Some of the most popular are Hotel Excelsior, Hotel Papillon, La Mision Hotel Boutique, and Topachi Hotel. For a more authentic stay, Pro Cosara, Mbaracayú Eco-lodge, Tres Gigantes offer remote lodging in the wilderness. I’m sold. How do I get to Paraguay? Paraguay is 14,431 km from Australia, making the flight about 35 hours, depending on the number of stops along the way. There are no direct flights to Paraguay from Australia and will typically consist of two to three layovers. The cost of the flight can be anywhere between 1500 and 3000 AUD. The little-known country offers authentic beauty and timeless traditions of Soth America. For the trip of a lifetime, plan a visit to Paraguay.